Steven (Chicagoland, United States) on 27 July 2015 in Plant & Nature and Portfolio. Photo captured July 19, 2014. Takes me back to my childhood when I used to grow this on a windowsill ! My grandma grew various colors of this when I was a child. An excellent full frame... they have such striking designs, fabulous colors also! Beautiful various colors and lovely structures! with beautiful frame, colors & lights! Nice view of this prolific plant. I used to keep some of these in pots. Now I think I need to have some again. Nice. 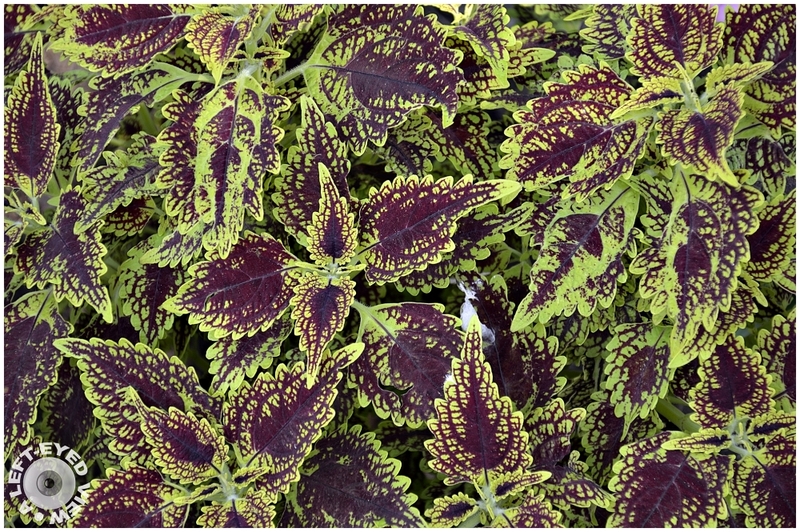 I love the patterns and the colors of Coleus. A spectacular image! A lovely frame filling shot. Ce violet et ce vert quel bouquet et tableau de fleurs sueprbe.